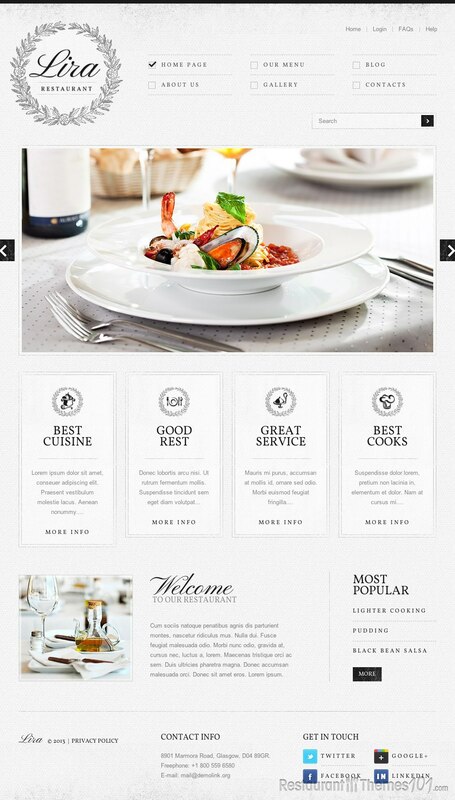 Lira is a WordPress restaurant theme developed by Elza. It is featured on Template Monster. Lira is a very beautiful, light theme with a nice, positive layout with pretty patterns, nice set of colors and beautiful fonts. The homepage of the theme looks very beautiful. The whole layout has a nice, fresh, light color combination. There is a big slider featured on the homepage with quality photos where you can show your delicacies or your restaurant’s cozy atmosphere to your visitors and you can be sure it will catch their attention right away. 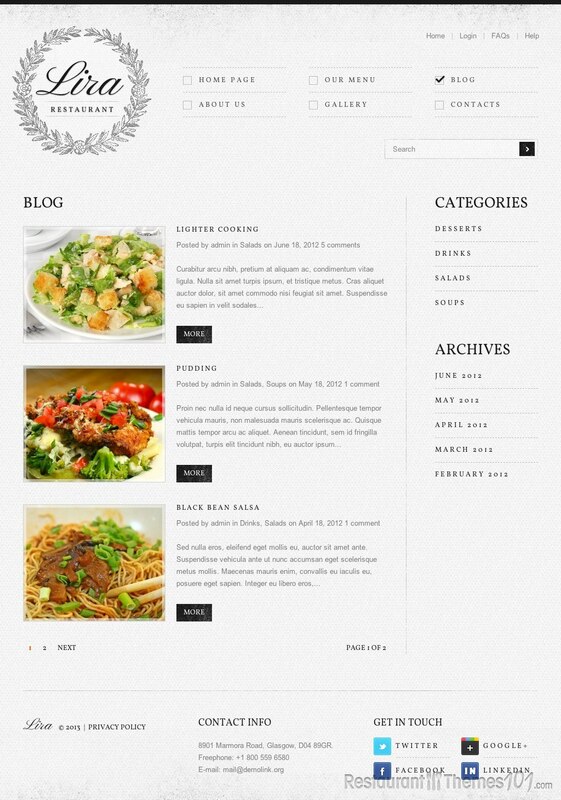 The theme has a blog section which allows you to add as many posts as you want. Underneath the slider mentioned earlier is a content area where you can show the posts you want on your homepage with small images and parts of the text, and by clicking it your visitors will be lean to a full content page. 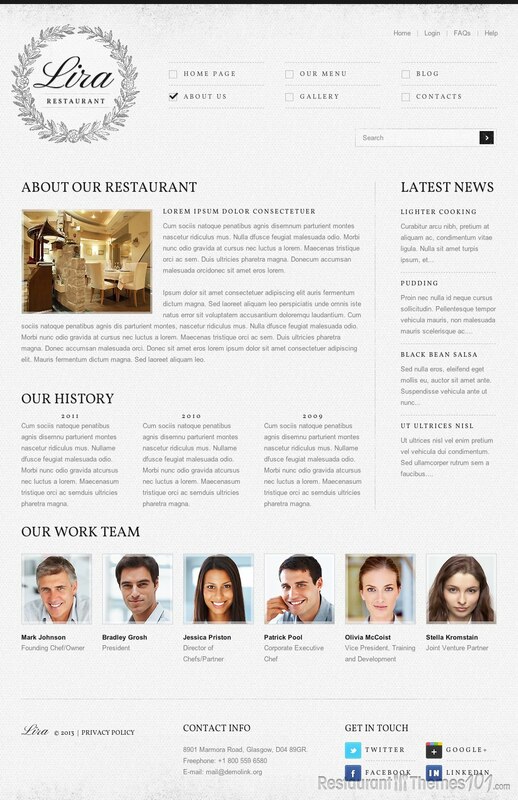 Under this content area lays another one similar to it, where you can add a nice small introduction of your restaurant to your visitors with a welcoming text and a nice, adequate photo added. Aside from it, you can add your recent posts so your visitors see find them in an instance. The gallery section is very nicely done, it will allow you to create different galleries, including 1 column, 2 column and 3 column galleries. 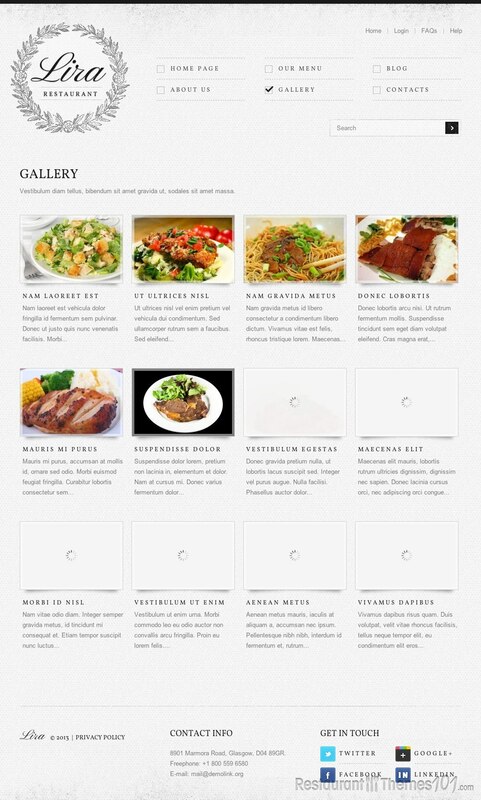 The menu area allows you to create your own menus along with photos of your dishes and details about them, and you can categorize the menu very easily so your visitors can find what they are looking for right away. Social integration is also a great possibility; you will be able to connect your website with Twitter, Facebook, Google+ and LinkedIn. Lira features a powerful admin panel. 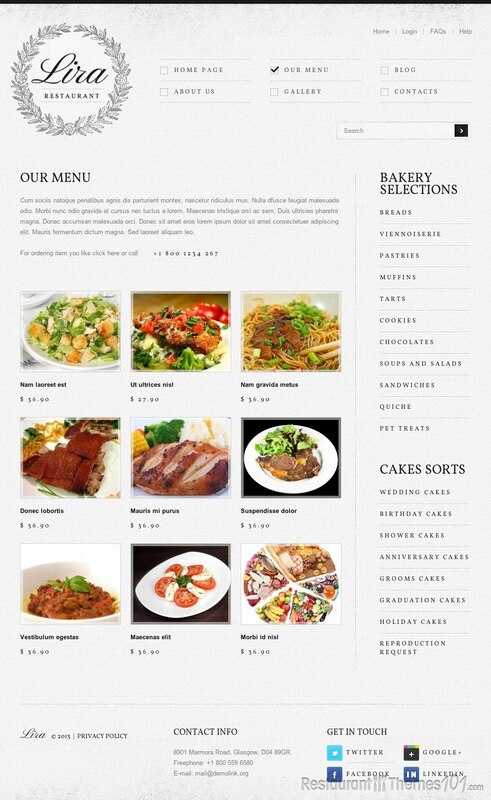 Working with it will be very easy and you will have easy access to your website. You will get instructions on installation and setup when you purchase the Lira theme. 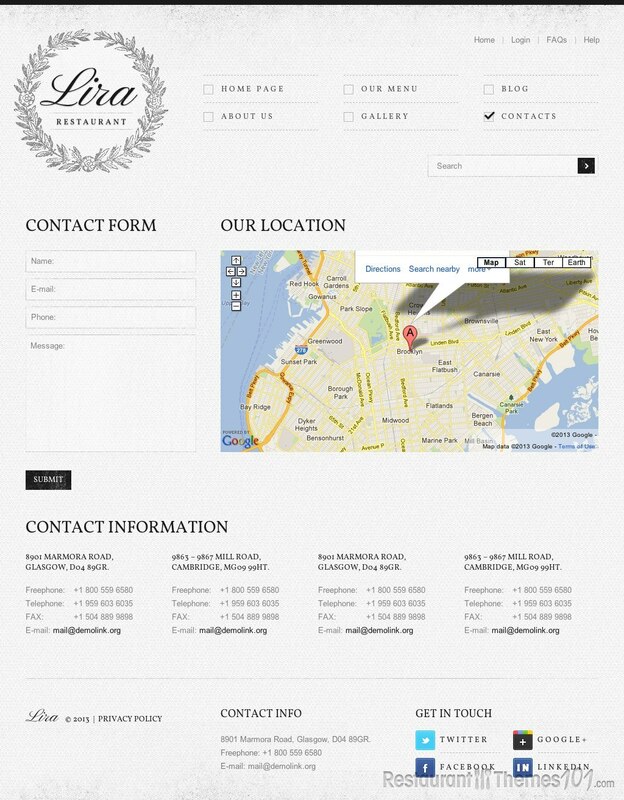 Besides this WordPress theme you can buy Lira also as a Joomla template.